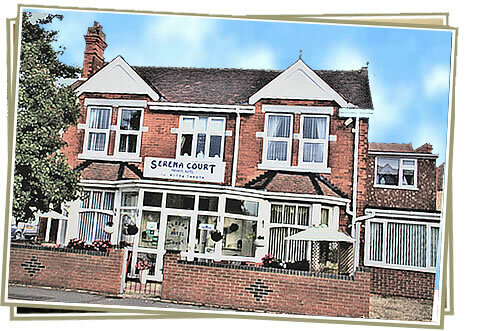 Serena Court - Drummond Road - Skegness. Under the personal management of Philip & Christine Talboys, visitors will find this refurbished popular NO SMOKING hotel an excellent and welcoming venue for your holiday break. Located in Drummond Road, we are few hundred yards from the shopping centre, and a short stroll to the quieter southern beaches. To the south, enjoy a bracing walk along a deserted coastline to Gibraltar Point Nature Reserve, passing sand dunes and coastal marshland.